Big war in New York! 5 stars tank game! Great graphic! 70 different Levels! Control your Tank against hundred of enemy tanks! 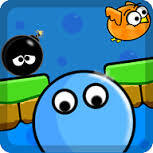 Destroy all the enemies to survive Upgrade your tank! Ultimate Laser weapon would help you! (Great Tank Attack game series 1 ) Tank vs New York !